Arthur has worked as a structured settlement consultant for eight years and is a partner in Cornerstone Settlement Services Memphis, TN, but a native of Mississippi, he serves clients through out Mississippi and surrounding region, bringing the necessary expertise to the settlement planning process to maximize the value of the settlement to the client and to safely navigate the ever more complex labyrinth of regulations that must be addressed. Arthur and Cornerstone offer services to plaintiff attorneys and their clients at a critical juncture in their lives, one which has come about unexpectedly and for which they were unprepared. The services that Cornerstone brings to the process are designed to complement those of the attorney and other advisors, are centered upon the needs expressed by the claimant and family, and are used to develop a plan that can be understood by all parties so that an informed decision can be made at one of the most stressful periods of a lifetime. Settlement solutions typically begin with review of the public benefits profile of the claimant. Arthur has extensive experience working with clients who are eligible for SSI & Medicaid and SSDI & Medicare and he has worked with attorneys and claimants to provide critical analysis, plans, services and the products necessary to craft a well-considered and durable solution. When the client is Medicare eligible, or will soon be, and the determination that Medicare’s interest must be considered is made, Arthur can provide the Medicare Set Aside allocation and, if deemed necessary, have it routed to CMS for review. To properly manage the account, he can also coordinate the administration of the MSA to assure that necessary accounting and reporting procedures are followed. Supplemental Security Income (SSI) and Medicaid are the most likely public benefits to be encountered in an injury settlement. Arthur has coordinated the drafting, funding and administration of numerous special needs trusts for claimants who need to preserve their eligibility. Medical liens can be a huge factor in arriving at settlement where the injury is catastrophic. Medical bill review professionals at Arthur’s partner company, Cost Containment Express, LLC, use their expertise, extensive medical billing database and proven process to gain bill reductions of 40% to 55%. Arthur handles qualified and non-qualified settlements, structured settlement annuities, attorney fee structures and the use of 468(b) Qualified Settlement Funds in multi-claimant engagements. 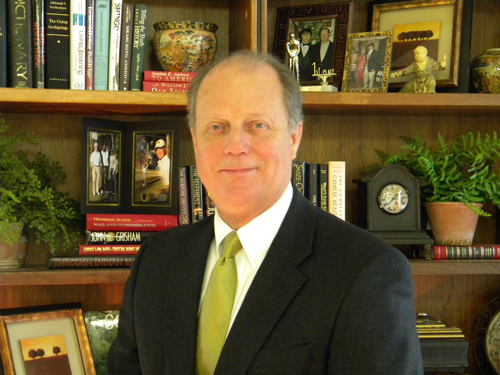 He has served as guest speaker at the Arkansas Trial Lawyers Association, the Memphis Bar Association, the Tennessee Workers Compensation Conference and numerous local association meetings. He is a member of the National Structured Settlement Trade Association and a member of the National Association of Medicare Set Aside Professionals. Looking for assistance from a Mississippi structured settlement agent or expert? The Structured Settlement Expert Directory is the nations only independent, locally based directory listing of structured settlement experts, agents and professionals. Our listings include the name, photo, biography and a video interview with each listed structured settlement expert so that you can read, listen and learn about their back ground, professional experience and areas of specialty.